If you’re like me, then you like to turn good into great every chance you get. I would rather have an amazing workout rather than an average workout. As a fitness enthusiast and bodybuilder you are always trying to get to that next level of your physique, especially with short and t-shirt season fast approaching! 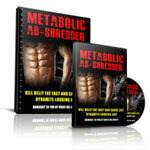 Today I want to cover six super star supplements that you can use 60-minute to 30-minutes before your workouts. 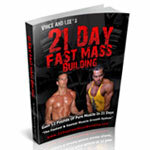 This information is geared to my advanced readers, with at least one year of consistent weight training experience and looking for an edge. You understand that nutrition and a professionally-designed training program are the key components to an amazing workout but you also admit that the difference between an average workout and amazing workout can be supplementation. Supplements do make a 5-10% difference so if you’re at that point in your training where that extra 5-10% is just what you need, I’ve got some killer preworkout formulas to improve your training. As you know, my first body transformation from 149 pounds to 190 pounds – a gain of 41 pounds of muscle in 6 months – resulted from very little supplement use. Just whey protein powder, a multi vitamin and fish oils. Over the past few years I’ve been experimenting with more supplements and a variety of pre workout rituals and I’m happy to share that these were six super star supplements that have had a solid impact on my workouts. Remember, without eating quality carbohydrates and proteins 90-minutes before you workout, don’t expect for these six supplements to power you through your workout alone. Unless you’ve been living under a rock you know that creatine is one of the most potent supplements ever discovered. Creatine can help you improve your lean muscle mass in as little as 2-weeks, boost energy, endurance, strength, power and even burn fat. Top Reason To Use: The biggest benefit is that it helps create more intensity in your workouts, which is what separates the men from the boys in the gym. The longer and harder you can train, the more muscle you can gain and more fat you burn. Dosage Guidelines: Males don’t need more than 5 grams before their workout and females don’t need more than 5 grams after their workout. Females can use as little as 2.5 grams before a workout. INSIDER TIP: Drink a lot of water and don’t let it sit in your liquid for too long or else it’ll lose it’s potency. Also, don’t take creatine with alcohol or caffeine because creatine works by creating an osmotic affect (water storage), which leads to cells swelling with water. 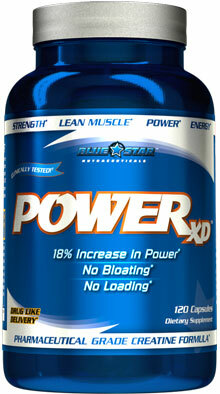 I currently use Power XD from Blue Star Nutrition. Use the coupon code “maximize” if you pick this up and you’ll get some free stuff. The CEO of Blue Star, Adam Cloet, is a good friend of mine. Beta-alanine is a non-essential amino acid naturally made in your body. Beta-alanine can boost muscular strength, power output, muscle mass, anaerobic endurance and aerobic endurance. When you exercise your body creates lactic acid, which is when you experience the burn feeling. This prevents you from being able to push your body to the max, maintain forceful muscle contractions and do more reps, which seriously hampers your ability to make new muscle gains. Top Reason To Use It: Beta-alanine produces carnosine in your muscles, which leads to increased power, strength and endurance. You’ll also experience intense vasodilation/pumps from your first few doses of beta-alanine. This happens because beta-alanine produces carnosine and carnosine is a precursor to producing nitric oxide. Dosage Guidelines: No more then 3-5 grams per day is needed to significantly boost carnosine levels. INSIDER TIP: It takes about 3-4 weeks to feel a big difference but you should stay on it for at least 3 months minimum to optimize carnosine levels. If you’ve been following my reading since 2006, you’ve likely added a high-quality, low carb protein powder into your diet. Excellent job. If, however, you you want to maximize your workout, you need to include a blend of isolated proteins to give you the best protein sources including whey, casein, egg and milk isolates. Most protein powders have at least one of these isolates, but the product I use, ISO-SMOOTH, delivers all four of the best protein sources in isolate form. Top Reason To Use It: Bottom line, protein is critical for muscle growth. Your muscles need protein to recover and in turn grow after a workout. Taking a blend protein like ISO-SMOOTH provides a rapid and extended absorption rate because their is both fast and long releasing proteins for an immediate and sustained anabolic effect. This is one of the key elements to accelerated growth from your workouts. Dosage Guidelines: Males should take at least 30 grams, which is usually 1 scoop. Females can receive the same benefits with at least 15 grams of protein before their workout. 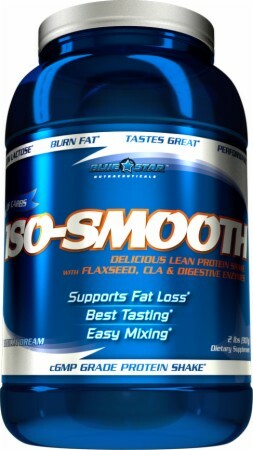 INSIDER TIP: I do make a small commission if you purchase Adam’s ISO-SMOOTH, which is not the reason you’re going to hear more about Blue Star Nutrition in the coming months. I really like ISO-SMOOTH because it contains CLA, flax powder and bromelain (which are digestive enzymes), plus you get your 4 blends of protein in 1. Lastly, Adam’s ISO-SMOOTH is lactose free, sugar free, mixes easily and tastes incredible. Don’t forget to use the “maximize” code for some free stuff. Not only does caffeine give you a spike in the morning but it can give your workout a spike. A popular stimulant, for endurance athletes, research now shows that caffeine works equally effective for weight training. Caffeine works better during a fat-burning cycle when you’re not taking supplements like creatine and arginine. Do not mix and match these supplement together. When taken before a training session, caffeine helps break down fat instead of stored carbs (glycogen) for energy. It also helps release calcium, which leads to more forceful muscle contractions. Top Reason To Use It: Caffeine dulls your pain receptors and helps slow and prevent fatigue, which means you’ll train longer and harder leading to increased muscle mass and more fat loss. Dosage Guidelines: Males can take 200-300 milligrams before training and females don’t need more than 200 milligrams. INSIDER TIP: For accelerated fat loss, have a large cup of black coffee on a empty stomach and do cardio at 6am in a fasted state. Just walk on a treadmill for 35 minutes 5x a week at a steep incline and you’ll lose at least an extra 1-2 pounds of fat each week. Here’s the top caffeine filled product I use. Another power-house supplement that has been getting a lot of attention in literature and a lot of experimentation from myself and my clients. Here’s what you need to know: BCAAs are composed of three essential amino acids (leucine, isoleucine and valine). 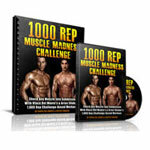 Your body relies on these three stooges for muscle protection and ability to build muscle. The more BCAAs in your body, the less chance for muscle loss. Top Reason To Use Them: They prevent muscle breakdown so if you’re cutting fat be sure to include them in your diet and always have them in your cupboard. Dosage Guidelines: Males can take 10 grams before a workout and females can take 5 grams before a workout. INSIDER TIP: Mix 5 grams of creatine and 5 grams of glutamine to make the ultimate “muscle-protection” cocktail before your workout. Pretty much all BCAAs products are the same and pretty cheap to make and cheap to purchase. 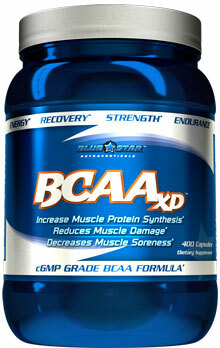 I use Adam’s BCAA XD brand because of the XD technology. Again, don’t forget to use the coupon code “maximize” to get some free stuff included. Although you can get arginine, a essential amino acid, from almonds and several types of nuts, your body does not always get enough of it. Arginine in your pre workout cocktail can increase blood flow and growth hormone levels. It converts into nitric oxide once ingested, which dilates (opens) blood vessels thus ensuring fluids and nutrients reach the muscles, quickly. This means you’ll experience a stronger pump in your muscles, which can have indirect influence on muscle growth. Top Reason To Use It: Arginine has a powerful antioxidant ability, supporting the immune system by scavenging free radicals. This helps speed up recovery so you can train longer and harder next time. Dosage Guidelines: Males can take as high as 5 grams and females 3 grams. INSIDER TIP: Too much arginine can lead to diarrhea, weakness and nausea, so start with a smaller dosage then recommended above and increase gradually. Which pre workout supplement are you going to experiment with 60-minutes before your next workout? P.S. If there is a pre workout supplement I did not mention that you want more info on, let me know or feel free to share your own favorite pre workout supplement. site and in accession capital to claim that I acquire actually njoyed account your blog posts. Any way I’ll bbe subscribing in your feeds or even I success you gget admission to constantly fast. But, what about this? suppose you addd a little information? see how thewy create news titles to get people interested. You might addd a related video or a pic or two to grab people excited about everything’ve written. In my opinion, it couhld bring your posts a little livelier. there any other web site which gives these kinds of data in quality? what to do if I drink a protein with fruits (preworkout shake)? Is it good or useful to mix it with creatin? there is a good product by bsn called nitrix. 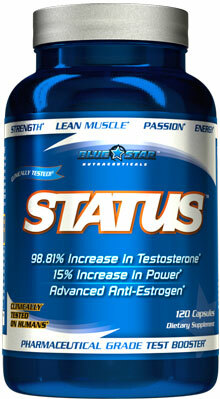 it is a blend of arginine and creatine. although it only has 1.5 gram of creatine per serving. this creatine is not a monohydrate like most out there. it contains 3 different creatines one of which is called creatine ethyl ester beta alanine composite, which is infused with beta alanine. for some reason when i take the creapure or monohydrate types, i find myself constantly urinating and having a dry lips feeling. with the nitrix , i don’t have these odd side effects. although i’ve tried Cellmass, the glutamine makes me feel down and dull. As far as n.o.explode goes, it has caffeine and creatine combined, which vince recommends to keep seperate, i think mainly because caffeine decreases appetite which is not good if your trying to gain weight. anyways, i have a problem getting over 130 pounds which is why i hired vince as my new online coach. I am super skinny and i actually was 118 before that. i worked out hard for 4 months learning by watching others, but it was not enough. I have never in my life weighed over 130. If Vince’s strategies work for me. i will be the man. This 4000 calorie diet i must tackle will be a challenge and pricey. But if i want to hit 150lbs, it must be done. just wondering what you think of the product No-Xplode by BSN? @Danny. I like Extreme Rush by http://www.bluestarnutraceuticals.com 10x more. 1 scoop of Extreme Rush is more potent than 3 scoops of Explode. Use “maximize” as a coupon code if you try out Rush and you’ll get a discount. Amazing product, and I rarely say that. Vince I need your help buddy. I've started taking the blue star power xd creatine and i'm a little confused about exactly when to take it before my workouts. It says on the bottle to take 2 capsules before your workout but it also says to take it on an empty stomach. I usually take my preworkout shake 30 minutes before my workout so when exaclty do you recommend I take the creatine. Should I take it about an hour before my workout so it gets absorbed better or am I just over analyzing things? Thx bro!! What to you think about this supplement for protein? It's called Sci Mentor and it has 6g of BCAAs and 5g of Glutamine with: Protein blend ( whey protein isolate, whey protein concentrate, (mpc), lactobacterium probiotic). Natural identical flavours & natural colouring. I can't find many good supplements in the UK and right now Prograde is a bit too pricey for me to order from the US. Sci mentor is relatively expensive for UK standards but I like it as it's been advertised as a natural product. Thanks for always replying to our comments btw, you must be so busy. Vince, I've seen you endorse a few different companies. Blue Star vs Prograde, is there really any advantage for either protein, or do you have a recommendation on which one to use for different goals? the nutritional labels are pretty similar to me, but then again, If I knew any better, i wouldn't be asking you. i always have caffine before a workout and protein powder. Ive not yet tried creatine and beta alanine sounds like an interesting supplement. THat's perfect. Just make it 5 grams post workout. Vince, I just listened your interview with Flavia and Joel Marion about the cheat and fast day, even dough i complete understand what is leptin and the refeed or cheat day(in which i personally eat a 20, 30% more cals than mant.) i don't understand the logic of having a fast day… What about the muscles… don't they need nutrients?, and what about the so called "keep your metaboilsm up eating only 20, 30 % less than mant." ?? Hi Vince.. When you said that caffeine releases calcium, where does the calcium come from? Does it get pulled from your teeth and bones? I would love to see an article from Flavia!! Nothing in particular. Maybe how she deals with being healthy with such long shifts. Thanks Vince!! No, from the muscle. I'll talk to Flavia about that soon! Thanks buddy, that really helps. 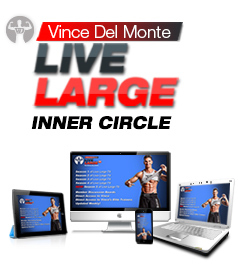 And thanks for the so many tips you've given in your emails and on your blog, we need more nice people Vince Del Montes not just in bodybuilding but in the world itself. and no i'm not sucking up, i'm being real. i truly appreciate it! Cheers Vince! Hi, just a question in relation to taking caffeine. You said that it promotes the break down of fat rather than carbs. Does this mean that less carbs are burned in a workout? And if so does it have a negative effect if you were to be doing low rep sets? If not, does it have a benefit to your recovery as you don't deplete ur glycogen stores as much? Any information would be much appreciated, thanks. YOu can use them all but don't use caffeine with them. Caffeine can be used before cardio in the am and the others can be used before weight training. If you ever had chicken pox, ingesting l-arginine could lead to herpes. WHAT THE HECK !! YOU SAID SUPPLEMENTS ARE A CON! 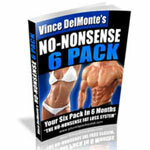 VINCE YOU SAID YOU ARE A NATURAL BODY BUILDER! Creatine is my favorite supplement. It helps work out more intensely which results in more muscle. It's a good idea to go 100% natural for at least a few months or a year to see what kind of results you can get on your own. Not a bad idea at all. Again, re read the article and put it into context. Re read the article please. That's good enough. You dont need anymore. Personally I started adding it to the oatmeal because I don't like oatmeal, or protein shakes. If you combine them though, its like all the best stuff about that chocolatey cereal, but healthful. Thanks vince for your post cause I have couple of questions.I'm 16 years old and want to be a professional martial artist,maybe a mma fighter and at the same time join up for the army(I guess if i'm real good I can join for the Special Forces),but some guys from the army told me that it's not a good idea to use supplements and should go 100% natural as it might effect my physical condition if I stop using them,can you explain or suggest me anything? Just my opinion. Why should one not take supp #4 and maybe #3 as a natural source (coffee, tea, meat, legumes, nuts, ok – whey protein good and approved brand) instead of synthesized chemicals like #1, #2, #5 and #6. The top reason not to take those because of the way they are produced and the price of them gives the second reason not to take them (money flushed down the hole). For that money we could buy the natural source of healthy supplements in the state of organic food and not chemical powder. DON'T TAKE IT FOR GRANT, it's just my opinion and I see no point reinventing the wheel. 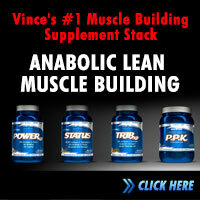 As many people are promoting healthy living and lean muscle nowadays, why should we gain half-fake lean muscle? By the way, 10 years ago, when I was still at school, I've tried many of those chemicals for about 2 years, and compared with my last year's pure healthy living and drug free training (I'm back on track only for 10 mths) I see much better results than 10 years ago. And while writing this post, I've just noticed tal's post. "This is exactly what you said!!!! " Anyway, everyone is his own body's blacksmith. This is exactly what you said!!!! I am a college girl operating on basically a "ramen and fast food" budget. I have a decent protein powder (chocolate) and I have found it tasty and cost effective to add it to plain instant oatmeal, with olive oil. I also go for the black coffee, and basic veggies. Do you have any more suggestions for operating on a tight budget? With the supplements that you suggested above, would you recommend them to teenagers 16years and older? My younger brother is right into gym at the moment, and I have used all of your mentioned supplements and get great results, and now my brother wants to use the same. Are they all safe for him? Hey Vince, what's your opinion on nootropics as a pre-workout supplement (such as Biotest's PowerDrive)? I've heard mixed results on these, but have never tried them myself. Also, if youre already taking protein peri-workout, is additional arginine really gonna make a noticeable difference? Seems like there's a lot of evidence that AAKG supplements are just a marketing scam. How significant of a benefit do they actually have? They are very powerful. Nootropics increase blood flow to your brain so you'll be more alert. Go with Rush fromhttp://www.BlueStarNutraceuticals.com instead. It's way better. I am a little bit confused with this article, which one I should use before my exercise period? All of them? Just one? Or it depends of what type of exercise I am going to do? If I am just doing HIIT for now, which one would be good to use before the HIIT session? Vince, just wondering. what'd you think of fasted-cardio? i hear it burns fat like crazy, but the people who told me that said they took some amino acid tablets before they did their cardio? what'd you think of fasted-cardio? I love it. I'm a huge believer in it and do it 5x a week when I'm cutting. I've been using pure creatin for about a year now – it has been good – sometimes I will cycle it or combo it with a protein powder shake. Protein shake for a snack…..the creatin I take in water about 30 mins b4 my workout – both the lifting and the cardio – it does make a difference in endurance etc. I don't know how much of an impact it has had on muscle growth as opposed to training alone..as I have used it since I started working out. For me..so far….creatin is the best. Great article! Like you I'm looking to trim up for a June vacation (10 year anniversary) and are looking for the little things that can help get me over the hump. So would you recommend BCAA's on resistance training days only or as more of a daily supplement (cardio and recovery days)? Thanks! You said that if you did creatine, you shouldn't take caffeine, so which should you do then? I've been taking Caffeine Pre-Workout for a while, I did a few trials, and I definitely feel better when I take it pre workout. I lift heavier and can do more reps because of it. I haven't tried beta-alanine yet. Thanks a bunch. Deffinetly a good set of protocals. Ever head of “Body Quicken”? or Brain Quicken? Have a look you might like what you find. Yes. By TIm Ferris. used it once. i tried a medium cup of black coffee yesterday on my fast day before FPFL dynamic wo, which is not easy even when eating, and at the end i was so pumped and euphoric that i did 15 mins of HIIT too!! incredible, so simple yet effective! Any supplement store should carry it. Hi Vince, good post its good to see a bit of info about some of the many products that are available for us to take but its also hard to know which ones are worth taking, having seen your previous blog on how supplements are a con. I have some Creatine and Protein powder that I bought but I haven't used the Creatine yet I wanted to do a bit more research,I'll do some now, do you only take the 5 grams before a workout, what about after, and would you only take it on workout days or everyday? Do you need to use it in cycles or all the time? Any info much appreciated. Keep the good stuff coming.